For sale a freehold plot of land at Keston London - Plot 136a1. 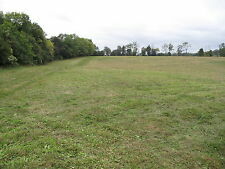 With the center of London a stone’s throw away this land would be an excellent Invest opportunity and ideal for picnics and camping. The land is in a lovely location and is situated inside the M25 and close to biggin hill airport. C Crane CC Skywave AM, FM, Weather Alert Plus, Shortwave, and Airband Portable Travel Radio. The reception, audio, and durable build are what this radio excels at. It has an intuitive layout so it is easy to use and has exceptional overall performance. You are looking at a very clean and well-presented luxury caravan with a massive seating play area outside. 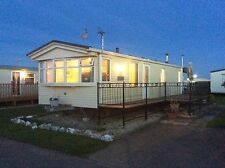 10 minutes walk to the beach and FANTASY ISLAND also 5 mins bus ride to BUTLINS ATTRACTION and 10 mins bus ride to Skegness. (30th June- 31st August). If you have never been to Brittany, you are in for such a treat. Tiny villages, rolling miles of countryside, all seeped in Celtic legend. There's also a kids playground, football pitch, table tennis table (There's bats and balls in the caravan) AND 3 glorious heated swimming pools, with a Jacuzzi which I favour lounging in reading my book. This delightful plot of freehold land is now available on the market. A great plot that is located in the beautiful heart of the East Sussex countryside, close to the charming hamlet of Salehurst and near Robertsbridge East Sussex. Please Note: This Mirror Is Shipped With The Head Of The Mirror Turned Inwards To Save On Space. The Mirror Will Appear To Be The Wrong Side Until You Rotate The Head Around. Please Refer To The Instructions Included In The Package For Putting The Mirror In The Proper Viewing Position. To Rotate The Mirror Into The Proper Viewing Position The 3 Allen Screws On The Lower Side Of The Mirror Head Will First Need To Be Loosened. Next The Mirror Will Pivot 180 Degrees. The Last Step Is To Simply Retighten The Allen Screws. ALADDIN 3L AIRPOT STAINLESS STEEL BEVERAGE DISPENSER DRINK PARTY HOT COLD COFFEE/Juice 39287. Designed with double walled vacuum insulation, this stainless steel dispenser will keep ANY liquids hot or cold longer. LOCATION: The property is located in Saranac/ Cadyville near Plattsburgh, in Clinton County State of New York. You 10% Equity allows you the use of the entire property. There is electric and phone lines in front of the property. Eine detaillierte Stückliste, viele Bilder und die zum Bau benötigten Zeichnungen befindet sich im Bauplan in gedruckter Form, und seperat auf CD um sie separat ausdrucken zu können. Verschließen des Autos während der Schlafphase ist damit ebenfalls gewährleistet. Waste Holding Tank Treatment; Odorlos (Tm); Biological Treatment Used To Break Down Waste And Tissue; Without Formaldehyde; Scent-Free Formulation; Without Lubricant; One Ounce Treats 10 Gallons; 6 Pound Tub Dry Treatment With 2 Ounce Measuring Scoop; Single Tub. 4” x 4.25” Weather Proof Vinyl Sticker. Colorful Original design Yellowstone National Park sticker! Perfect for your car, gear or anywhere you want to display! Show your love for Yellowstone, camping, family adventure, and Wyoming! The rods are the strongest lightest fishing rod available in this size and rival other more expensive rods. If the rods not signed Badeo it's a poorly made paper thin copy which will disappoint. Badeo rods are ideal for travelling as its handy size makes it suitable for your suitcase, rucksack or just to keep in the car. Folding knife:folding pliers. Type:Folding Blade Knife. Product type: Key Rings. Product type: Tool Sets. Our warehouse is located in Yiwu, the largest small commodities market in China. I am willing to make every purchasing a happy one. Portable Repose Fire Logs are portable - providing the ambiance of a back yard campfire, wherever you roam. The perfect solution for RV campers, bikers and urban hikers. Inexpensive The 3 reusable logs hold about 10 lbs. All readable and log-able via RS-485 and user friendly EKM Dash software for PC, Mac, and Linux. This model requires 1 to 3 CTs, depending on you electrical system. Spec sheet/instruction manual included. Each log can be used repeatedly due to the stainless steel construction of the logs that can withstand temperatures up to 1400 degrees F and the new and improved all welded construction. Portable Repose Fire Logs are portable - providing the ambiance of a back yard campfire, wherever you roam. Nutone Food Center 220, 221, 250, & 251. Operates all old Nutone & TCC Kitchen Center. Built-in Blender. "A Great Smoothie & Slushy Maker". Flush Mount, In-Counter Blender . 5L TEMPERED Glass Blender w/2 sets. LMH Patch Badge 1989 LAKE LOWERY Party RV VAN Get Together Campvention Rally 2"
LAKE LOWERY '89. RV Camping Club Convention Rally. This patch is perfect for use on your hat, shirt, jacket, vest, overalls etc. Embroidered Cloth PATCH. NOTE: The photos are of the actual patch for sale. Compatibility: Water Heater Door Type: Spring Loaded Thumb Screw Handle Type: No Handle Color: Silver Material: Steel. LMH Patch Badge 1977 '77 I VISITED SLEEZE LAKE Party RV VAN Get Together 2"
A Van & RV Convention in May 1977. This patch is perfect for use on your hat, shirt, jacket, vest, overalls etc. Embroidered Cloth PATCH. NOTE: The photos are of the actual patch for sale. For Use on Hat, Shirt, Jacket, Vest, Overalls Etc. DIE CAST SHASTA AIRFLYTE TRAILER REPLICA RUBBER TIRE ADULT COLLECTIBLE!! Up for sale is one GREENLIGHT DIE CAST issue very hard to find small 1/64th scale replica of an SHASTA AIRFLYTE TRAILER CAMPER. It is highly detailed and would make a great gift for the SHASTA camper owner/collector, or to pull behind your favorite 1/64th scale die cast car or truck that has a hitch. It is highly detailed and would make a great gift for the SHASTA camper owner/collector, or to pull behind your favorite 1/64th scale die cast car or truck that has a hitch. Here is your chance to own a great little die cast replica! The connect wires might tangle car steering wheel, if you want to use it for car steering wheel, make sure do a test when the vehicle is stationary state,ensure traffic safety ! Constant temperature, keep your hands warm in winter. CAMCO WATER PRESSURE REGULATOR. 3/4"M x F garden hose thread. This item has never been used, and has been opened only for the pictures.